Accommodation in Prague: Which Location to Choose? If you are currently planning your trip to Prague, maybe you are also thinking about accommodation and the best location where to book your hotel/hostel/AirBnb place. For first comers this might be a bit tough to decide before seeing the city in reality. It is always like that, Too much information is confusing and reality is much simplier. This blog post is dedicated to all travelers overhelmed with information. To make their life easier and fun. These two places are not different cities, they are actually two Prague quarters, Back in times they used to be independent cities separated from each other by fortifications (that´s where the names come from) but nowadays we call them the very city center of Prague. 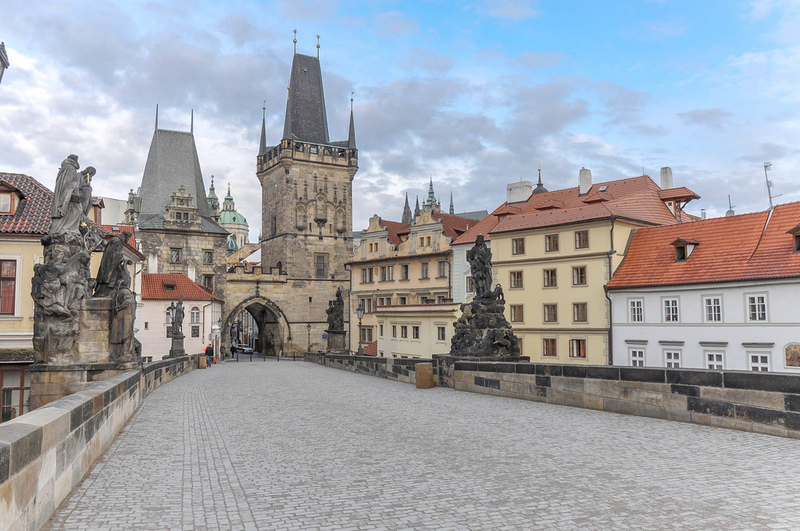 Downtown, with all the major sights in walking distance: Old Town Square, Jewish Quarter, Powder Tower, Municipal House, Charles Bridge, John Lennon Wall, Rudolfinum, Prague Castle, Strahov monastery, just to name a few. Many of them you can visit with me on my Prague Behind The Scenes Tour. Why to stay here: benefits of staying in this location is definitely saving time and money on public transport (or taxi at night). You can easily walk everywhere without need to use public transport. Sights, supermarkets, clubs, everything is close to hand. Another great thing is that many of the hotel/hostel/AirBnB places are located in historical buildings which can be amazing experience (high ceilings, painted renaissance beams, etc.). Why not to stay here: you can be almost 100 % sure that you will be surrounded by tourists all the time. Prices in these locations are also much higher. During high season (spring/summer) you can expect more noise in the streets (drunk people, music, cars riding over cobble stones, etc.). Hotels/hostels can be booked out a long time ahead. Acommodation downtown. Charles bridge is connecting Old Town and Lesser Town. Vinohrady, Žížkov, Smíchov, Karlín, Letná, all great and authentic locations popular among locals to live in.These quarters have very specific genius loci and in my eyes, they are the best possible compromise between touristy downtown and outskirts. You will find here popular off the beaten path sights such as: Žižkov TV Tower, Metronome, Vítkov hill, Church of St. Ludmila or Church of the Most Sacred Heart of Our Lord. Why to stay here: very close to downtown, you can either walk or use Prague public transport for a short ride. Public transit is pretty reliable, clean and convenient, so don´t hesitate! Besides good location, you will have a chance to experience locals´ life, drink and eat in restaurants/bars designed for locals (not for ripping off tourists). Local events take place here regularly (especially during warmer months): farmer´s markets, festivals, street performances. 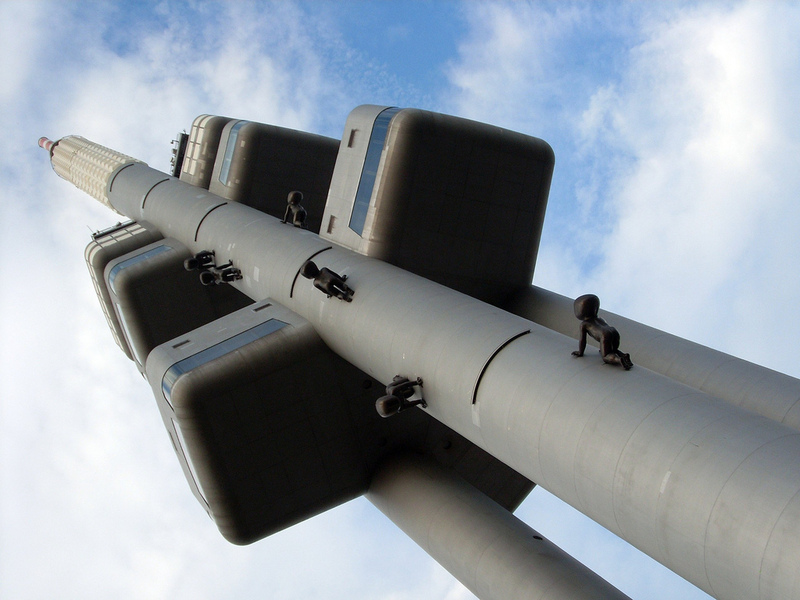 Acommodation in Prague, Žižkov, Vinohrady close to famous TV Tower with crawling babies. Even outskirts of Prague have very good connection with city center. I promise. However, if I were you, I would always check if there is metro nearby. That´s the most convenient, most popular and fastest way how to get downtown. Once your accommodation is close to metro stop, ding ding, jackpot! Why to stay here: if you plan a longer stay in Prague, for example a week or so, you will be happy to get away from downtown madness. Outskirts are also great option for people on a budget. You can find here really nice, clean, spacious and fully furnished apartments for a good price. For example a friend of mine is renting two bedroom apartment for just 46 Euro / night. This is just an example of what you can find here. In outskirts you can also experience how the life was here duing communism as in these locations you can find typical Czech architecture “panelák” = block of flats. Why not to stay here: you will need to use public transport every day for at least 30-40 minutes / one way. Which is something what will not kill you but if you want to stay flexible and don´t want to rely on public transport (for example if you want to party downtown), you should think of different location. Acommodation in Prague, outskirts of Prague. 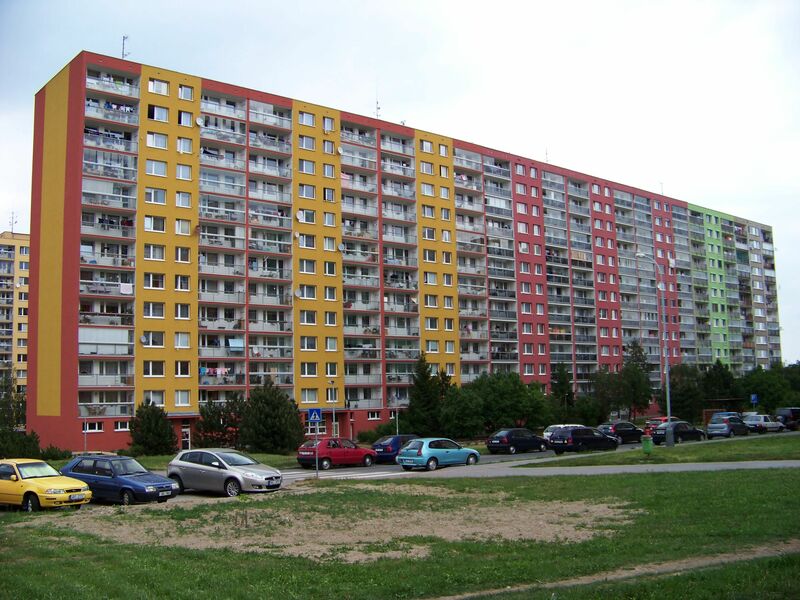 Typical communist architecture called “panelák”. Block of flats.